PERHAPS BUOYED by a tall flute of apple-puff scented Perrier Jouet NV, my father asked our waitress, firmly, for "fish sausages, please!" at the Crown and Punchbowl Inn, Horningsea, yesterday. It's yet another pub (though this time without a bar) that boasts of the individuality of its homemade sausages. 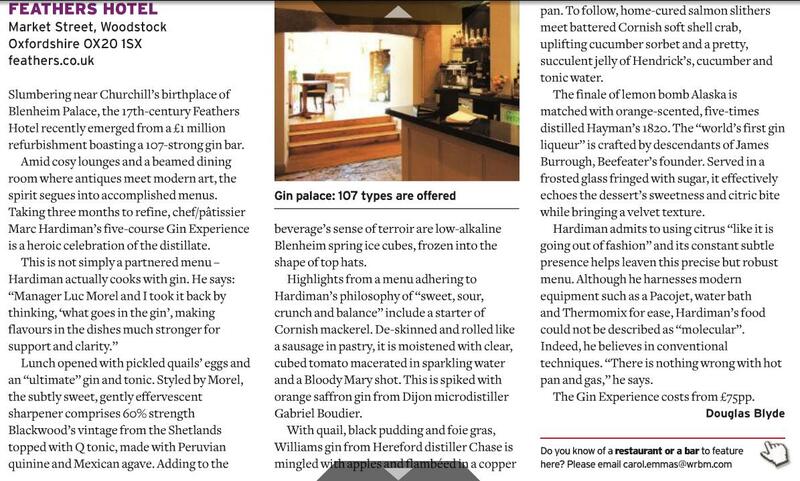 Certainly these by-products of butchery seem to be capturing the gastropub circuit zeitgeist. My father's request was partly my fault. I earlier relayed to him the story of a colleague whose grandfather (inexplicably deceased) used to produce such delicacies in inedible-abundance. I suppose they would be relatively easy to fashion. IV. Serve with a slightly macabre smile. Bingo, fish sausages. Of a kind. Or, for the purists, simply curl the nasty serpent into a Cumberland. I've done this with ingredients dredged up from the tactfully-titled River Great Ouse where boat loos flush straight into the slipstream. Saucisses de poison were not on the menu. Never have been, never will be. Instead I had duck salad (no tongues) followed by a large, lithe, nearly alive juicy rib eye, rare. 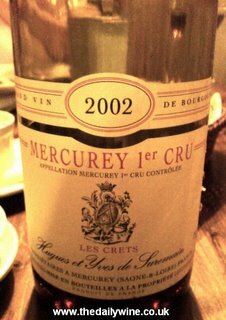 A quiet, cranberry, leather and wholesome, earth scented Mercurey 1er Cru '02 just about coped alongside. 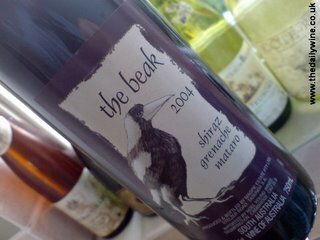 I am currently sipping The Beak Shiraz, Grenache, Mataro (Mourvedre) '04. [£5.99, Noel Young] A cult wine offering a Pinotage confidence with a warm tarmacadam palate. According to Sausage Links, it is: "...a great all-round sausage red". But not all sausages will befriend it back. I intend to partner it with Aberdeen Angus sausages and cubes of sweet potato.